Please follow all instructions carefully, especially the information pertaining to the snowmobile. This information is required and if missing or incomplete the application will be returned. Individuals are reminded that they must have a TMA card on their person to legally operate the snowmobile. For mail applications, any photocopies must be included with the application. As in years past, TMA’s can be purchased on-line at the VAST web site (www.vtvast.org). HOWEVER, on-line purchases have an additional $5.00 handling fee and club dues will be $30.00 i.e. $15.00 MORE than the prices listed here. NOTE: A copy of your current snowmobile registration must accompany all applications. Note: Born after July 1, 1983? 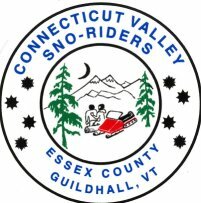 You must have a Vermont Snowmobile Safety Certificate or equivalent. Please read the 2019 VAST TMA Legal Agreement printed below. Sign and date the Legal Agreement and return it with you rapplication to obtain a Vermont VAST TMA. I expressly acknowledge and accept that snowmobiling is an inherently dangerous activity. As an off-road experience, trail conditions may change without warning. I acknowledge that trail signage is not a legal requirement and that neither VAST nor the landowner have a duty to provide signage warning of potential trail hazards. When signage is provided, it is primarily for directional purposes. The provision of certain safety related signs, such as stop signs at certain intersections, does not impose a duty on VAST or a landowner to mark all safety hazards. When using the SSTS, I assume all risk of personal injury, death or property loss resulting from any cause whatsoever, including, but not limited to the risks, dangers and hazards of snowmobiling. VAST and the landowner shall not be liable for any such personal injury, death or property loss. I hereby waive, release and forever discharge VAST and any of its directors, offers, agents, servants and successors and the landowner from any and all claims for loss, damages, death, personal injuries, property damage, costs, contributions, or indemnification whatsoever on account of, or in any way arising out of the use of the SSTS, unless the same is the result of willful misconduct or intentionally caused by VAST or the landowner. I also agree that I will require any person to whom I lend or rent my snowmobile to read and agree to these disclaimers and to ensure they are aware of the risks mentioned above and will advise them that neither VAST, its member clubs nor the landowner shall bear any liability for any damages they could suffer while using the SSTS. Every individual operating a snowmobile in Vermont is required to have personal liability insurance. The minimum required coverage is $25,000 for one injury or $50,000 for two or more injuries or deaths with a minimum of $10,000 property damage. The fine for operating without the insurance is $110.00 plus court cost. I have read and understand the VAST TMA Legal Agreement. Copyright 2007-2019 Connecticut Valley Sno-Riders All rights reserved.